Double (13′ x 10′) on second floor. Bathroom with wc. Twin (12′ x 11′) on ground floor. Bathroom with wc. Twin/double (10′ x 14′) on second floor. Bathroom with wc. 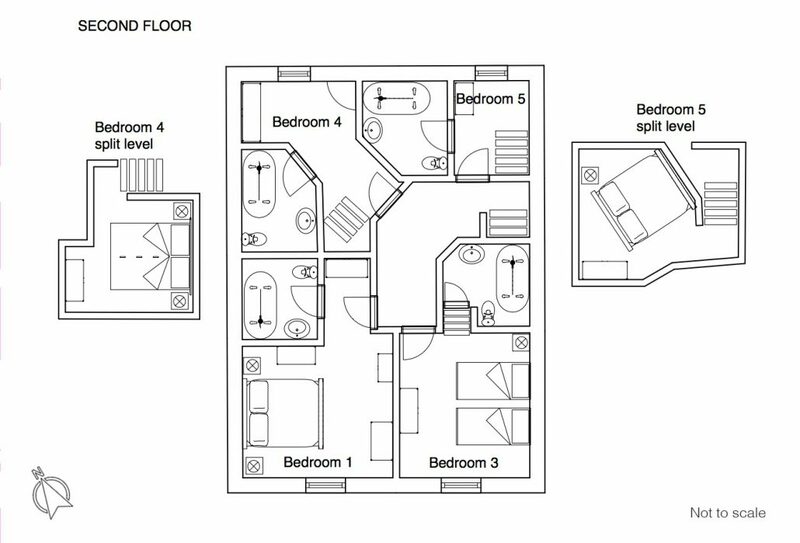 Single (9′ x 11′) on second floor, split-level (a further 3′ x 12′ beneath). Bathroom with wc. 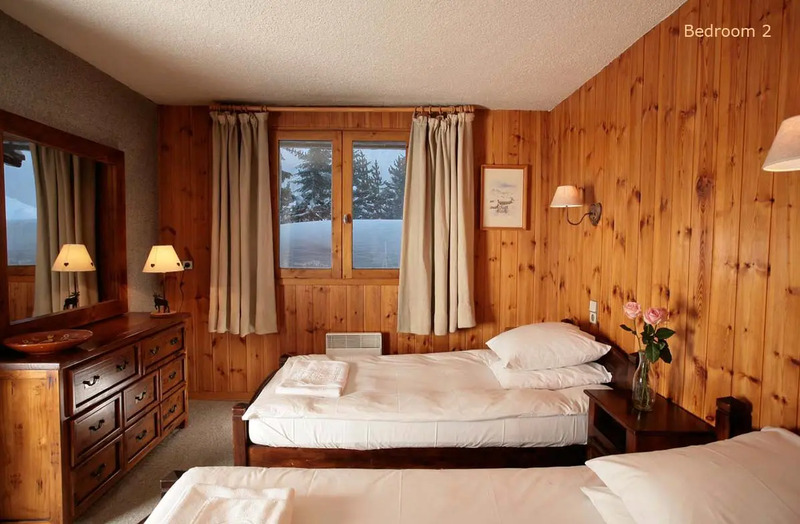 This room contains two beds, the second of which can be used when one party books the whole chalet. The beds can be made up as a twin or double. Single (12′ x 11′) under eaves on second floor containing a double bed. Split-level (a further 7′ x 7′ beneath). Spectacular views in wall-to-wall mirrors!! Bathroom with wc. 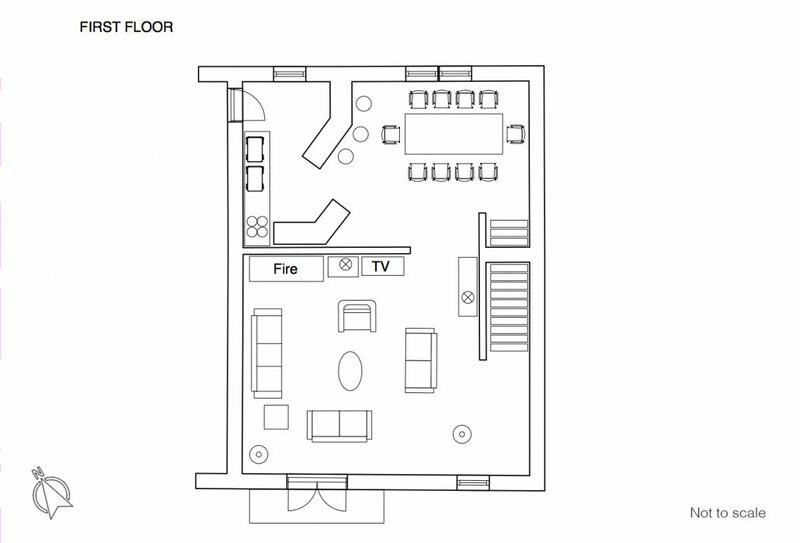 Two people can occupy this room when one party books the whole chalet. 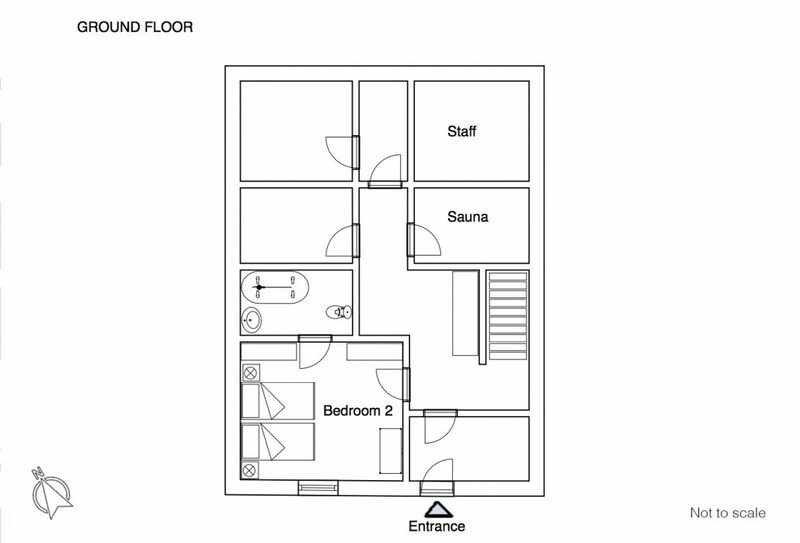 (20′ x 23′) On first floor. Fireplace, DVD, satellite TV (all major channels), fridge for your drinks. South-facing balcony. WiFi. (13’6″ x 10′) Next to sitting room. The open-plan kitchen is not included in measurements. 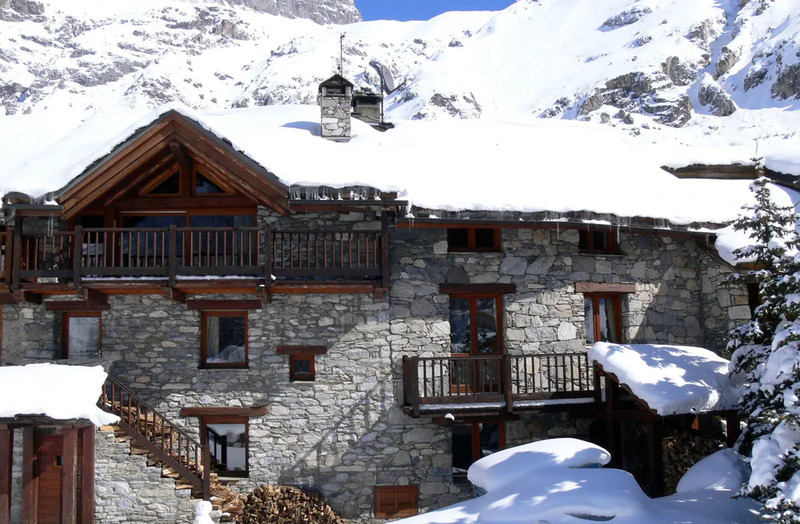 The Maison du Rocher is part of a lovely stone farmhouse in that little enclave of stone chalets on the left as you reach Val d’Isère proper from La Daille. 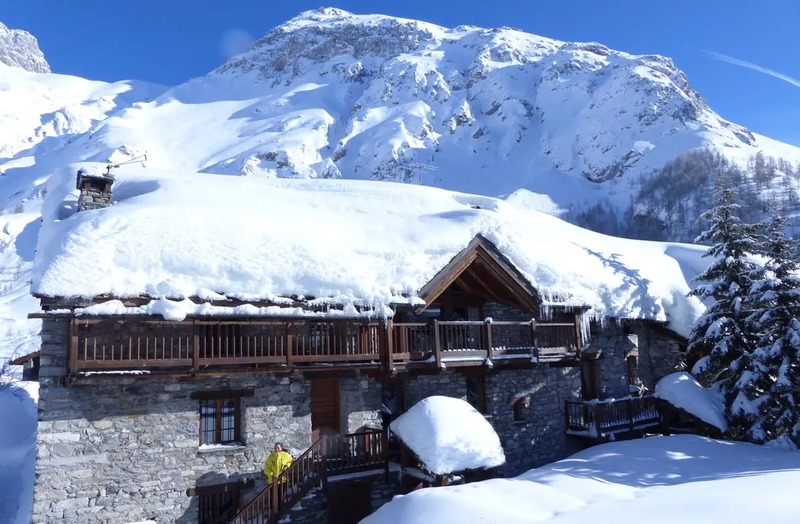 This is the chalet you may have read about once in the Telegraph, in an article so enthusiastic people thought we must have written it ourselves. 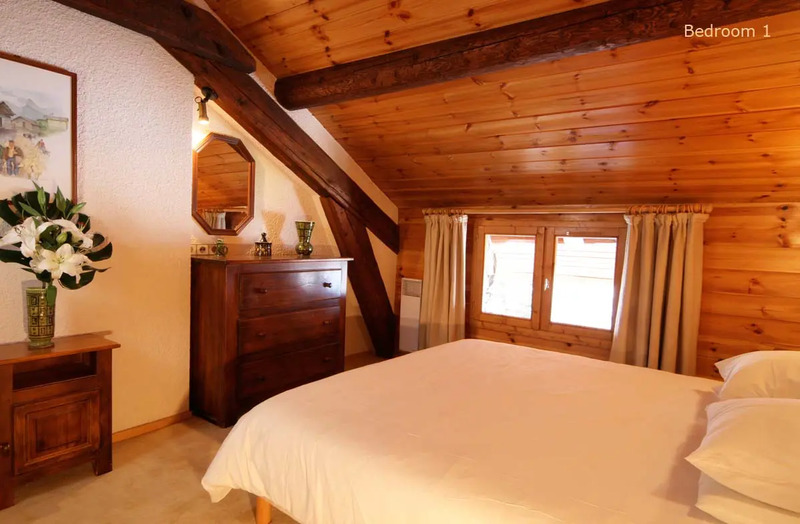 Perfectly situated in a large garden just above the main road, the chalet is totally insulated from the sound of passing traffic or people, yet close to the bus and just one stop from the funicular or three from the village centre. Not that its guests count bus stops: our Land Rover shuttle takes them straight to the lifts in the morning, and brings them home in the afternoon. It even makes pre-dinner drinks in town very accessible. 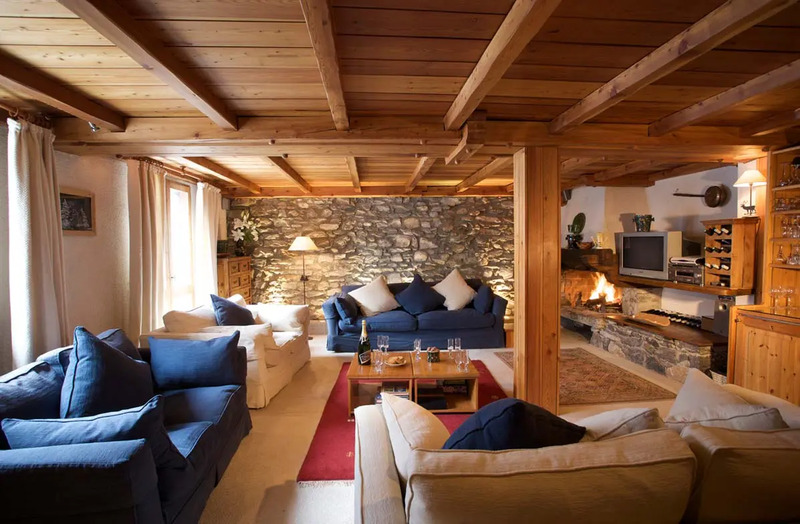 The building dates back to the 1620s, so its walls are deep and solid, its roof of granite slabs and whole trees robust enough to support the weight of Val d’Isère’s heavy snowfall (and a satellite dish). Fortunately, the five bedrooms and en-suite bathrooms don’t date back to the 1620s. They are all individual, but all warm, welcoming and very comfortable, well fitted-out with lights and cupboards. Two of them (4 and 5) are split-level single rooms, with the bathrooms below and the beds above, under the eaves. Bedroom 3 has twin beds, which we can fit together to make into a 6ft double (please specify which you’d prefer when you book). 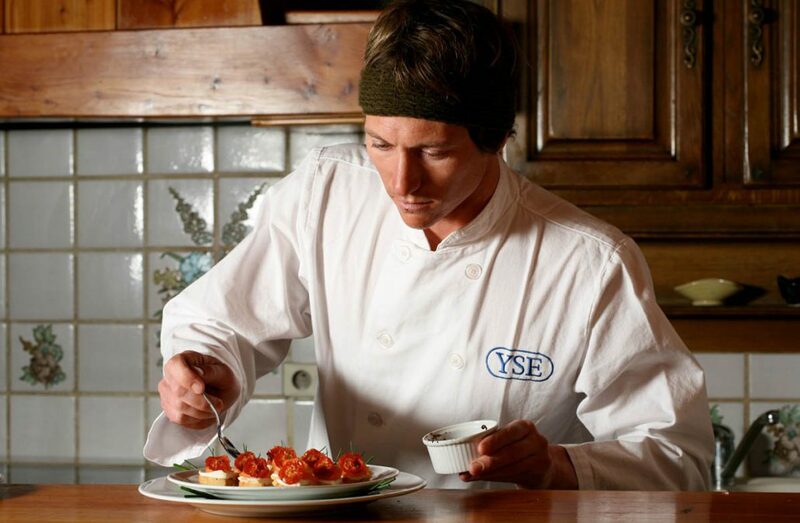 There is a separate dining room, where food is served which we defy any restaurant in Val d’Isère to match (the chef lives in the basement). On the ground floor is a sauna. 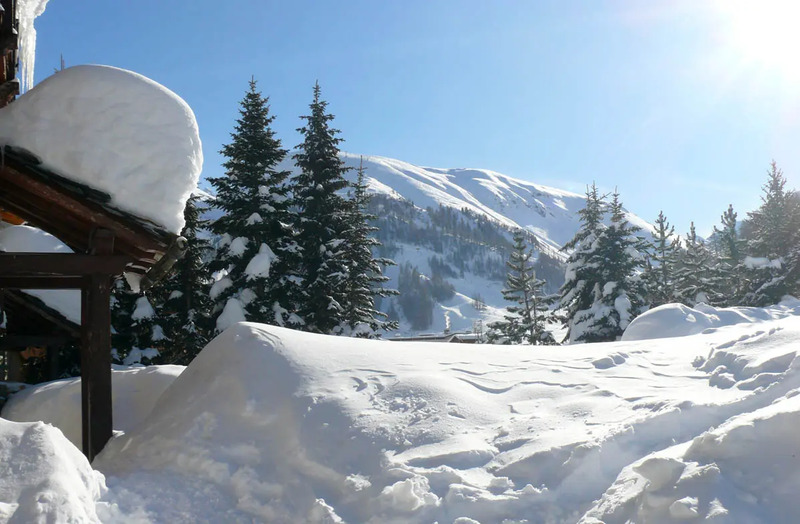 If you really want to do the thing properly, you can make the short sprint through the front door, roll in the snow in the garden, beat yourself with larch branches (beware – they’re spiky!) 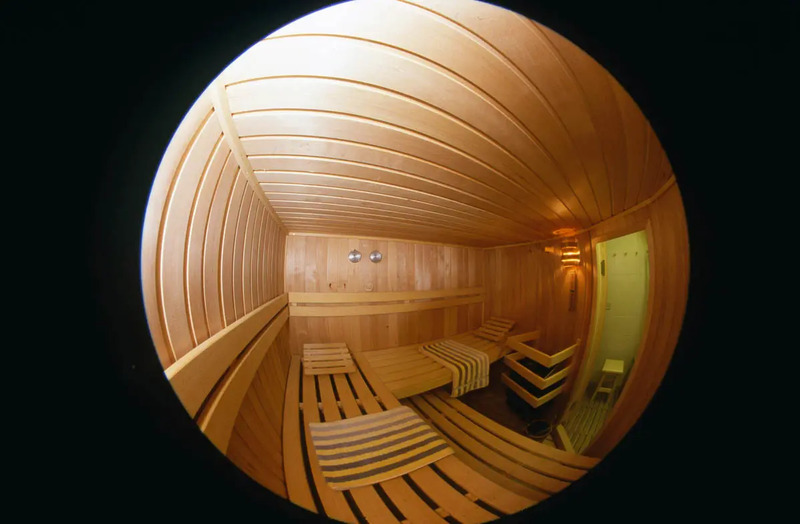 and sprint back into the sauna. But most guests seem just to chastise their bodies with a glass or two of bubbly. 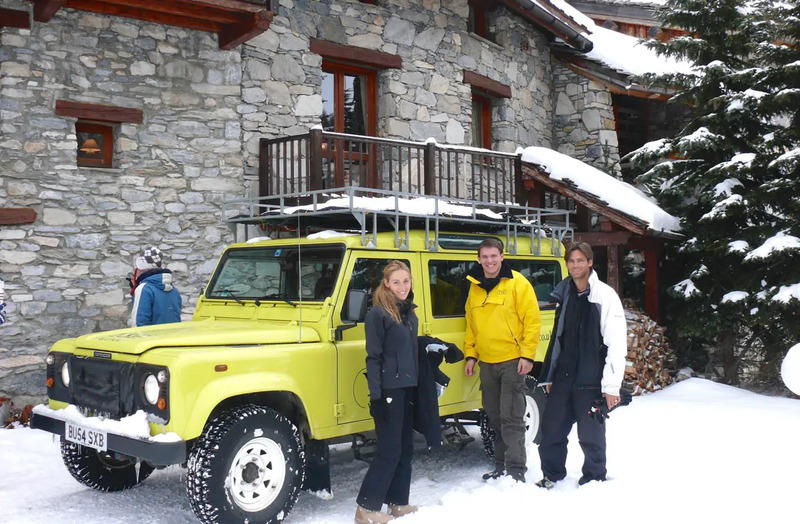 The Land Rover is shared with the neighbours, YSE chalets Le Vieux Crêt and La Croix, and is available to ferry you to or from any point in Val d’Isère between 8.30 and 10am, then from 3.30 to 8pm.